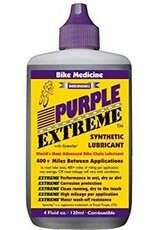 Purple Extreme is an advanced, high performance, synthetic bike chain lubricant. It provides excellent protection for chains, open gears and exposed metal surfaces subjected to severe loading. In addition, it works extremely well even in abrasive, cold, wet or acidic environments. Purple Extreme's additive technology forms a slippery, super-tough, synthetic film on metal surfaces that protects drivetrain parts far beyond the ability of conventional oils or waxes. All Conditions Lubrication Security – Protects From Wear Up To 400° F. and Down To -100° F.
Purple Extreme was originally formulated to protect drive chains in the mining business and on offshore oil rigs, in some the harshest conditions imaginable, for months at a time. 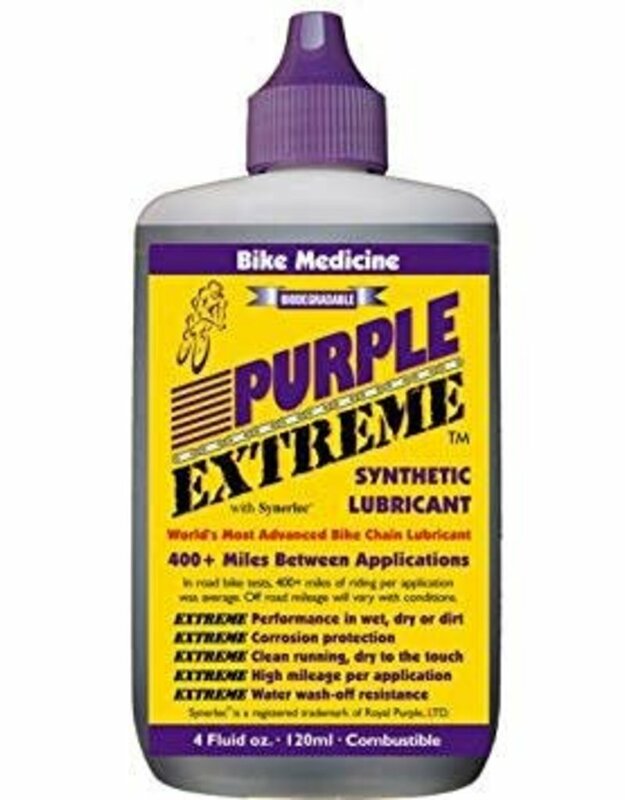 Purple Extreme has extremely high film strength, way beyond most conventional chain lubrication products available within the bicycle industry. The ability of a lubricant to keep two surfaces separated is called film strength. Our film strength is second to none. The ASTM D 2782 test (Timken Extreme Pressure Test) is one of the laboratory methods used in determining the load carrying capacities of oils and greases. In this test, a Timken bearing cup is rotated against a steel block. The highest load under which a lubricant prevents scoring (caused by contact) of the steel block by the rotating cup is the reported value. Our dare-to-compare live demonstrations using a Timken machine have consistently and conclusively proven Purple Extreme's ability to keep metal surfaces separated. Purple Extreme has a Timken OK load in excess of 90. 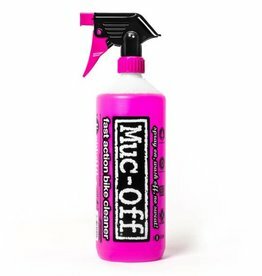 No other bicycle chain lubricant has ever exhibited film strength even remotely close to Purple Extreme. What does that mean to our customers? Simple, less wear. Like an insurance policy, this extraordinary film strength provides extra protection for bearings and surfaces subjected to mechanical stresses. Your equipment lasts longer, runs smoother and cleaner, with less frequent applications of lubricant. As bicycles make greater use of 10 and 11-speed drivetrains, there is much less metal to carry the load. Choosing the right chain lubricant is more crucial than ever. Purple Extreme is the perfect lubricant to help extend the life of older components and make new equipment run even better... far into the future. Don’t put your equipment at risk by being deceived with fashion lubricants. Having a grimy, black drivetrain, loaded with grit is still the ultimate pollution in cycling. It is a mess to even touch and the grit wears away metal with every pedal stroke.